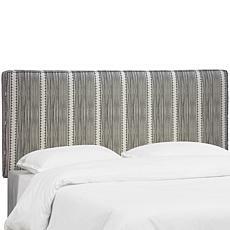 This headboard is upholstered in a basket-woven cotton and accented with matching fabric buttons. 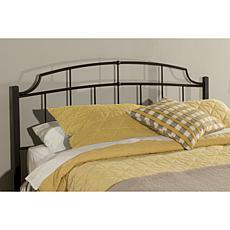 Its modern design is sure to add a touch of style to any bedroom. 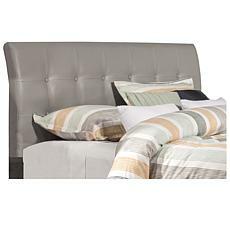 Combine comfort and style with this modern box seam headboard. Featuring a fun print, it's sure to add color to your bedroom décor. You'll also appreciate the plush foam padding for added dimension. Good to Know Manufacturer's 1-year limited warranty (does not include fabric).